Professor Ian Howard began practicing art in 1968, focusing on the relationship between civilian and military cultures. He has exhibited in galleries both nationally and internationally, and was a key driver of COFA's campus redevelopment project which began in 2009. He was recognised as being a major contributor to COFA receiving top results in the Excellence in Research for Australia (ERA) 2012 National Report. 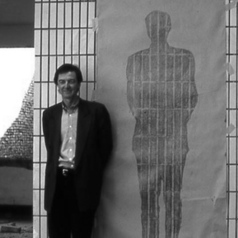 Professor Howard was Dean of UNSW's College of Fine Arts from 1998-2013.